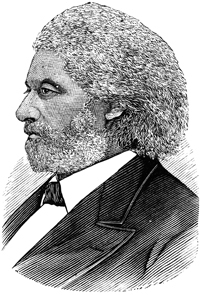 Bloomsburg University's Frederick Douglass Institute for Academic Excellence, under the inspiration of Frederick Douglass and other distinguished leaders of all racial and ethnic backgrounds, promotes academic excellence among students and enhance their understanding and appreciation of human diversity. The institute is part of the PASSHE collaborative established to enhance the academic life of participation universities and to enrich their campus climate. It enables all members of the university community to identify with a man whose life and work embody American democratic ideals and educational excellence. The institute develops and implements collaborative and interdisciplinary teaching projects that enrich our general education and enhance the quality of our culturally diverse courses.